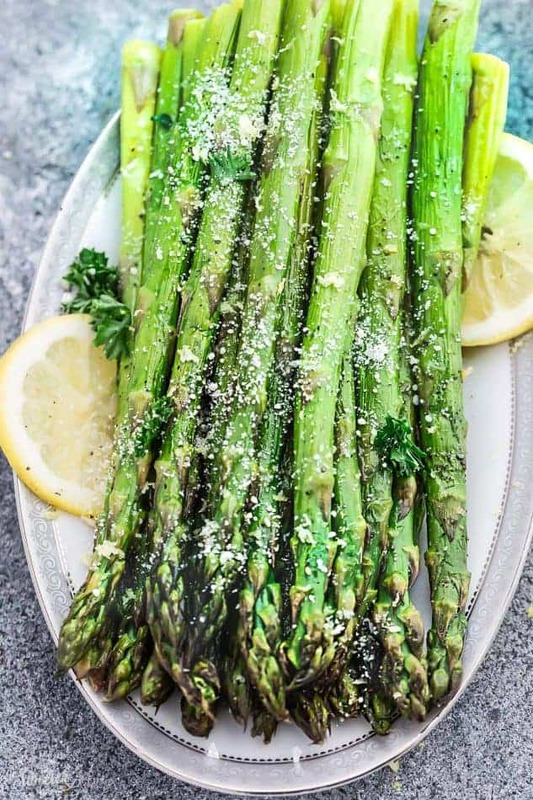 Lemon Parmesan Roasted Asparagus is the perfect quick and easy side dish for holidays or any night of the week. Best of all, this recipe requires less than 10 minutes of prep with fresh lemon juice, garlic and Parmesan. 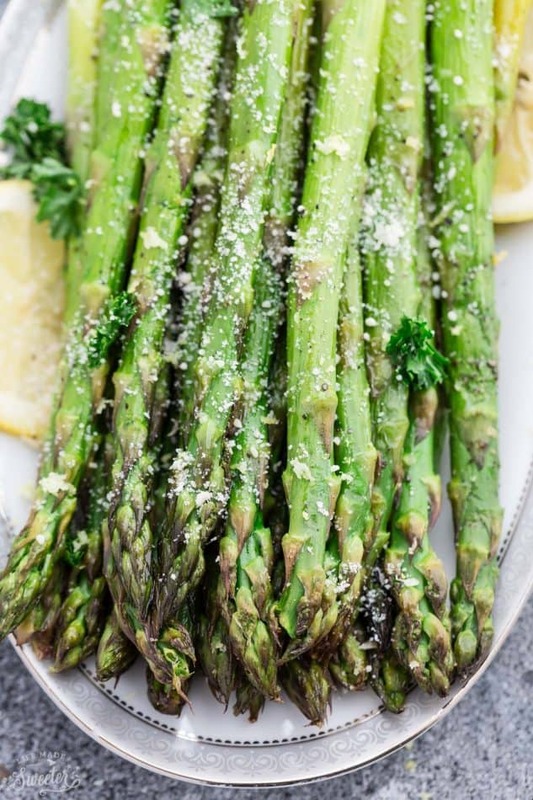 Asparagus is one of my absolute favorite spring vegetables. Whenever it’s in season, I can’t help buying it by the boatloads. It’s so good and you can’t beat how many ways there are to make it. 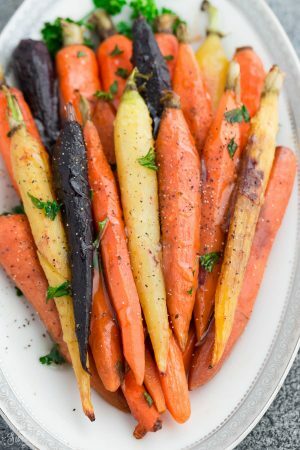 Roasted, blistered or grilled on its own for a healthy and tasty side dish. And you can easily add it to some pasta or rice. 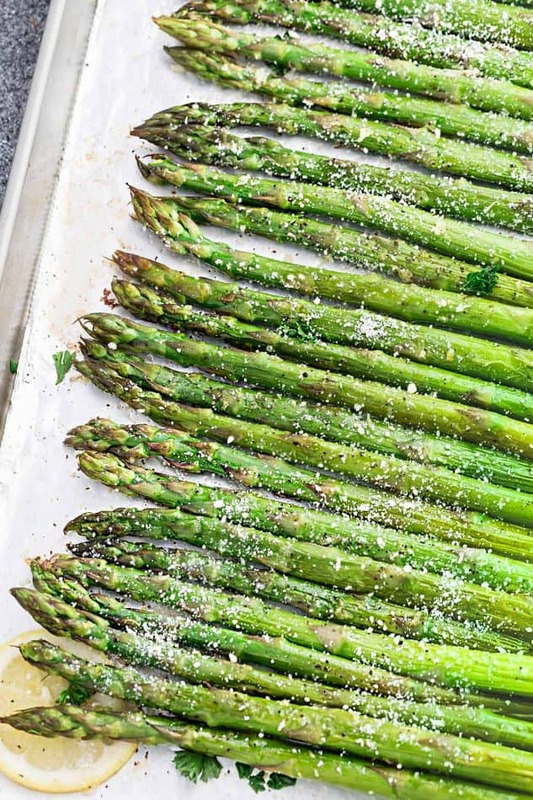 This Lemon Parmesan Roasted Asparagus recipe is one that happens a lot around here. It’s super simple to make and takes less than 10 minutes of prep time. 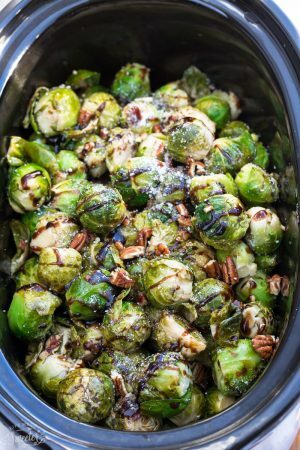 Just toss it in the oven with a little bit of olive oil, salt, pepper and some lemon zest for a refreshing burst of flavor. The asparagus is nice and tender on the inside with a crisp edge on the outside. Toss in the garlic and lemon juice then serve it with some grated parmesan cheese if you like. 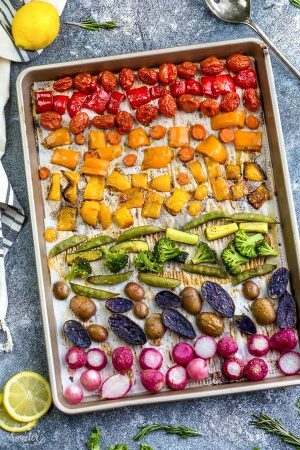 Preheat oven to 400 F. Grease or line one large baking sheet (or two medium baking sheets) with parchment or foil for easier clean up. 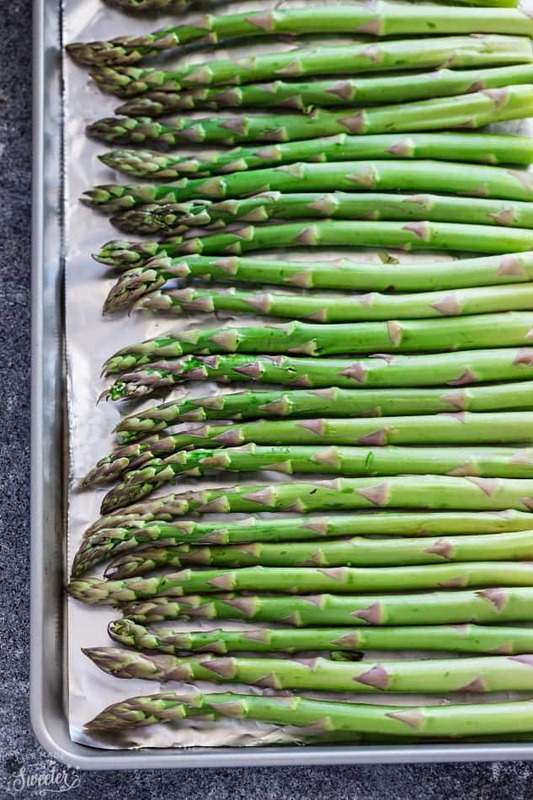 Arrange the asparagus in a single layer on the prepared baking sheet. Drizzle with olive oil then sprinkle with lemon zest, salt and pepper to taste. Toss to coat well. 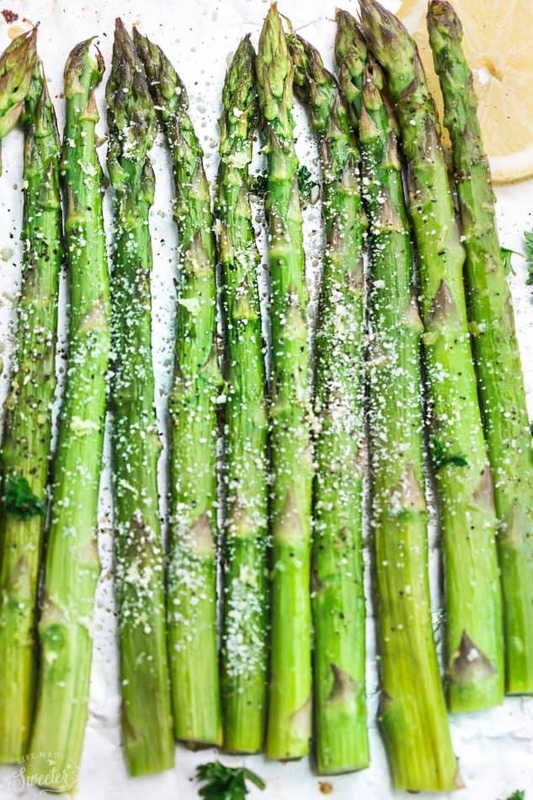 Roast for 10-12 minutes or until the asparagus is tender-crisp. 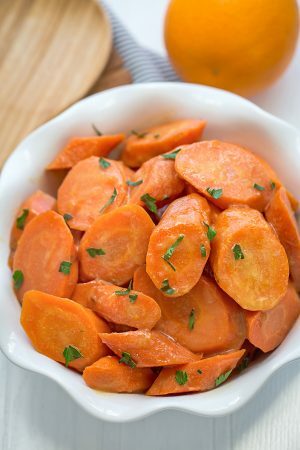 Toss with lemon juice and garlic. Place on a platter and top with Parmesan cheese. Serve immediately.